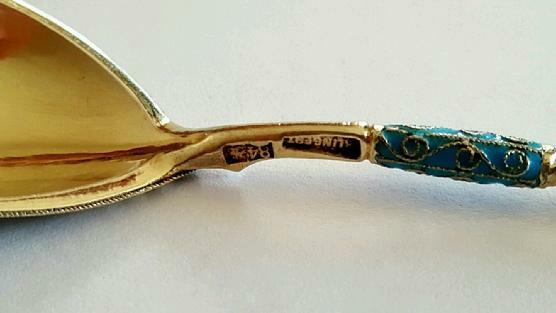 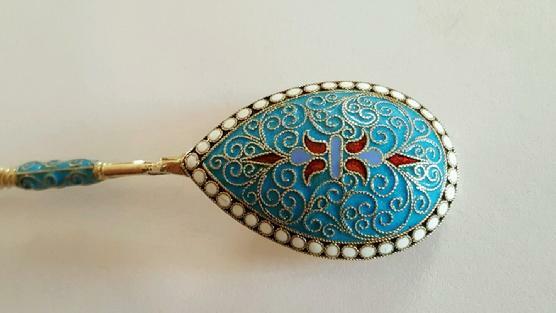 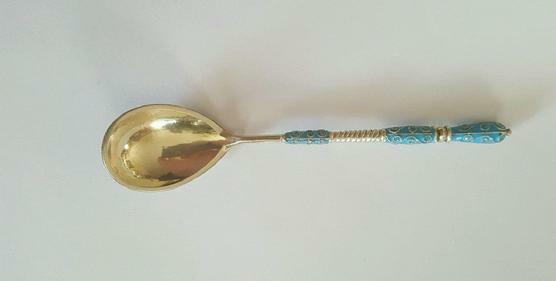 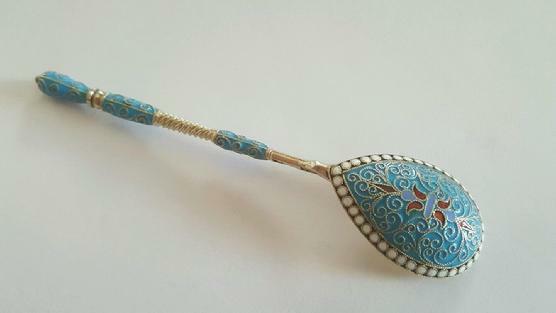 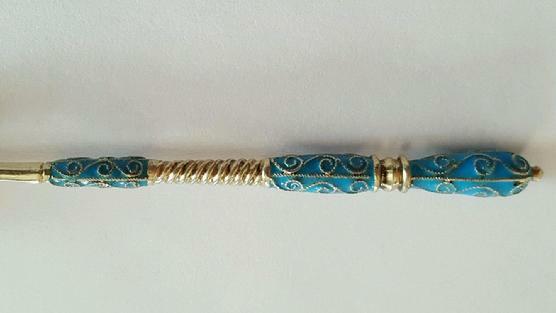 Russian gilded silver and enamel spoon, Gustav Klingert, Moscow,late 19th century. 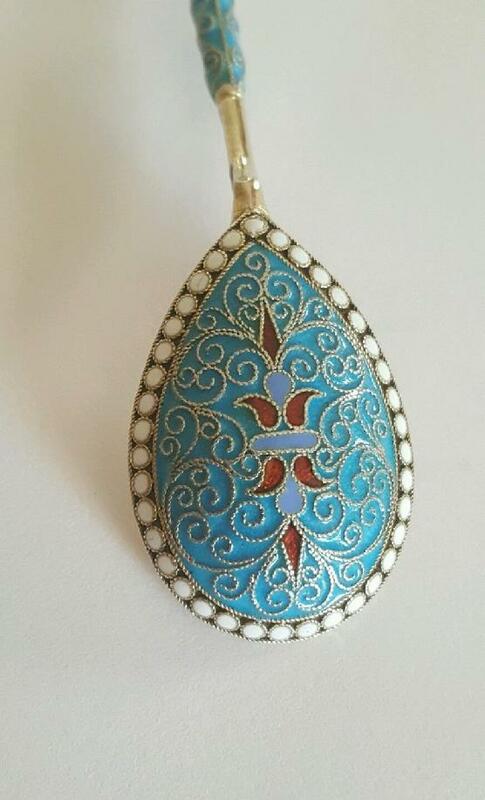 The egg shaped bowl, surrounded by a row of white enamel pellets, and handle are flooded with opaque turquoise enamel within a scrolling filigree wire design and accented with areas of transparent red enamel. 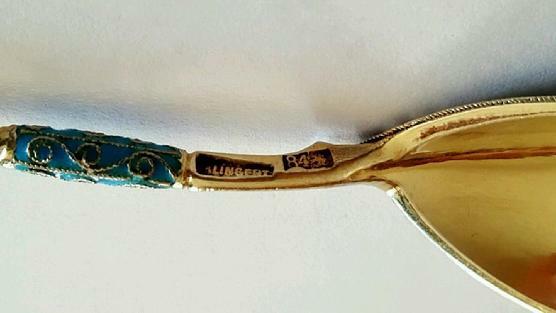 Length: 4.5".